Section 1557 is the nondiscrimination provision of the Affordable Care Act (ACA). 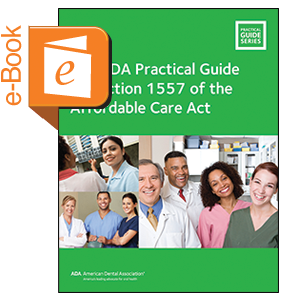 This brief guide explains Section 1557 in more detail and what your practice needs to do to meet the requirements of this federal law. Includes sample notices of nondiscrimination, as well as taglines translated for the top 15 languages in your state. 76 pages.